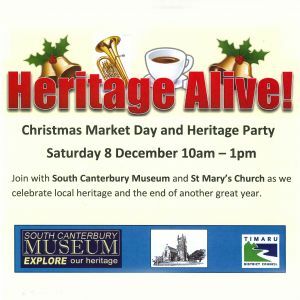 Join with the South Canterbury Museum and St Mary's Church as we celebrate local heritage and the end of another great year. Why not join us for a fun morning out with the family? Then make sure you head down to see us this Saturday, 8 December for this year's Heritage alive day - we'll see you there!